HONOLULU (HawaiiNewsNow) - Another business has come to an end in Honolulu — at least for now. LimeBike is an electric scooter sharing service that rolled out on the streets of Honolulu to the surprise of city lawmakers one week ago. The controversial service was ordered to stop operation in the last week, and a good chunk of their fleet of scooters were confiscated by police. On Friday, after pressure and push back from the city, the company announced they were ceasing operations on Oahu. They claim the city classifies the scooters as moped. "As a result, we have decided to temporarily suspend our service out of respect for the city, our riders, and local team-members, while we review the relevant code and evaluate our next steps," the company said in a news release. "We hope to be able to work collaboratively with City leaders to establish a sensible regulatory framework around this new shared scooter model so that we can return to serving the City & County of Honolulu," the company added. Their business model was similar to other mobile transportation-sharing companies, but the model as a whole is what caught leaders off guard. The city says LimeBike never filed for proper permits, making the business illegal. In the one week of operation, LimeBike says more than 2,000 people have taken rides on the scooters. "Lime aims to improve urban mobility, transportation, and cities by transforming the way people get around them and eliminating traffic congestion. 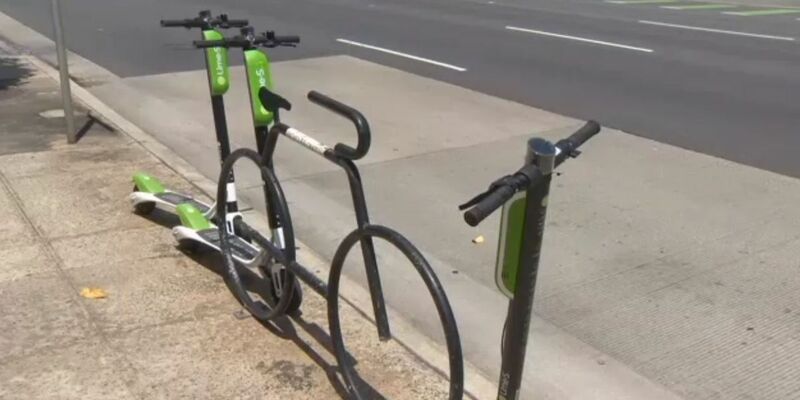 We hope to do the same for Honolulu, as we have in the 60 other markets where we operate," LimeBike said.